Enter your DOMAIN_ROOT and the location of your wp-config.php or config.php, and this script finds all the mysql settings by parsing the phpbb or wordpress config file, then creates GPG encrypted backups, and saves your settings for future automation. This simple unix shell script automatically creates backups of a specific folder at regular hourly, nightly, weekly, and monthly intervals. 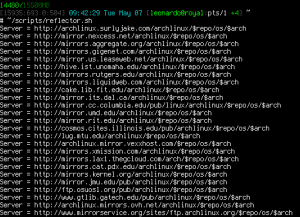 Instead of the usual method for copying directory trees using tar with fifo, pipes, rsync, or NFS methods this script uses cpio which is much much faster and has cool options like saving m/a/c times, symlinks, relative paths, and weird file names. 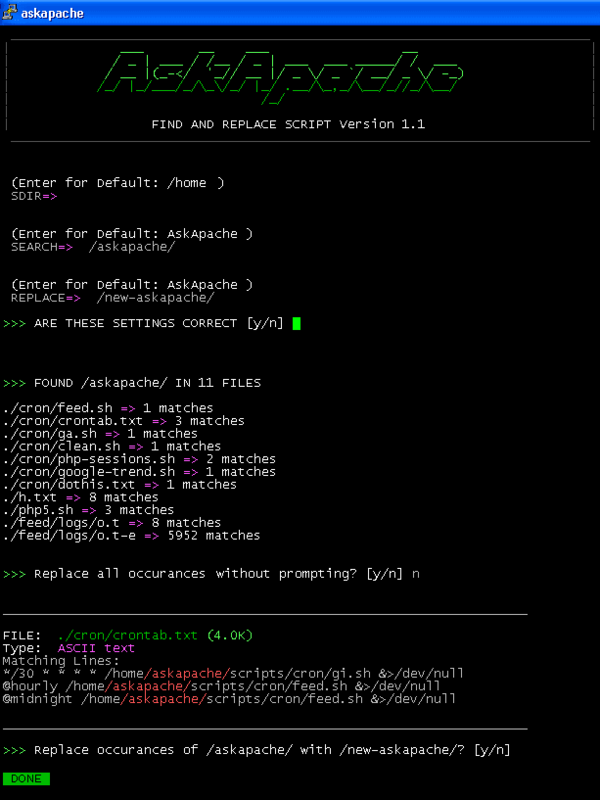 Search all files in a directory, replacing all occurances of string with a replacement string. Today I successfully learned how to compile and run multiple custom php installations for a DreamHost account, and to get it working I came upon a simple shell script that I made a couple changes to. I'm really sorry but I had to disable the sites you had running under user $USER because that was the only way I could keep the associated processes from restarting themselves and making the server unstable. Please do not run these sites with a persistent php.cgi process with a php.ini file as an argument.